Ahadi & Uru. . Wallpaper and background images in the Le Roi Lion club tagged: the lion king. 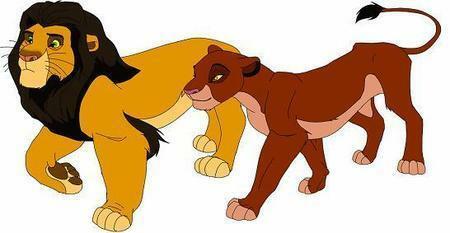 Good picture of Simba's grandparents! I didn't say it was mine. I've done nothing to suggest or even proclaim that its mine. I know its been a long time since the comment of none of this being yours, but that is why there is a text box giving credit to whom you got the piece from.